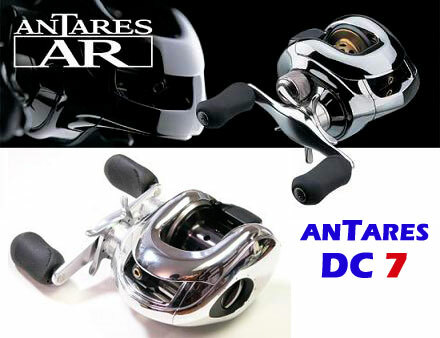 The The new Antares employs innovative features to make it at the summit of Shimano bait casters. 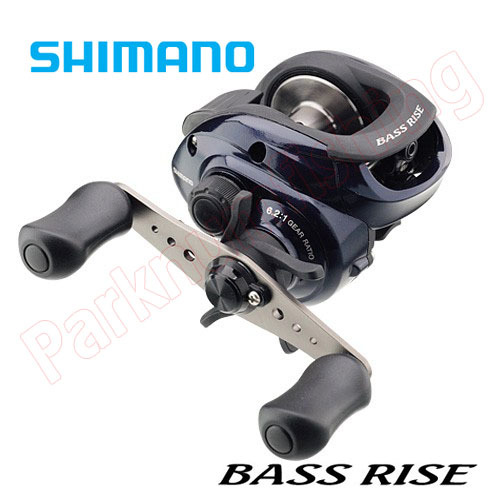 The most noticeable feature is micro module gear system, which has much smaller gears than previous models, to drastically improve the gearing noise. 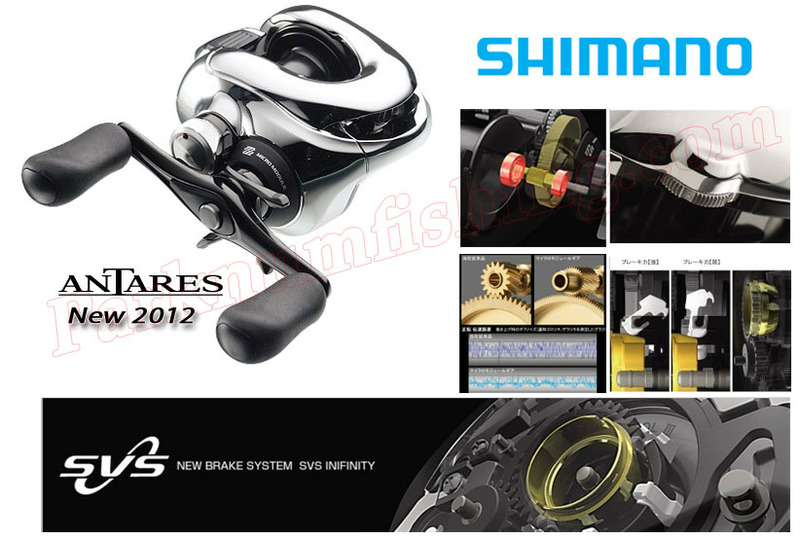 Brake is variable SVS Infinite centrifugal system, and you may adjust the centrifugal brake force from out side. 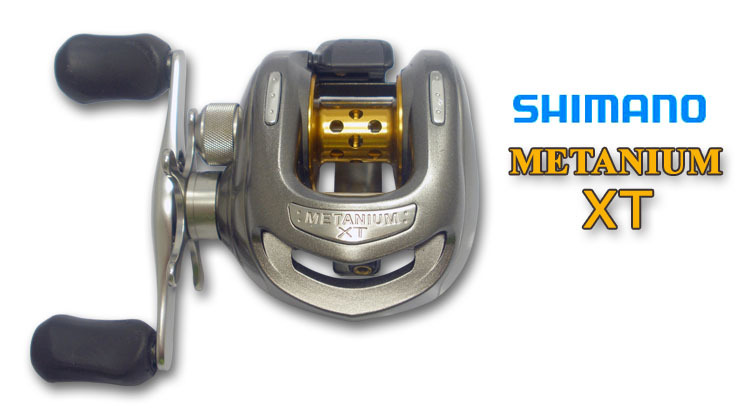 It employs corn shaped level winder inner to reduce line friction in casting. 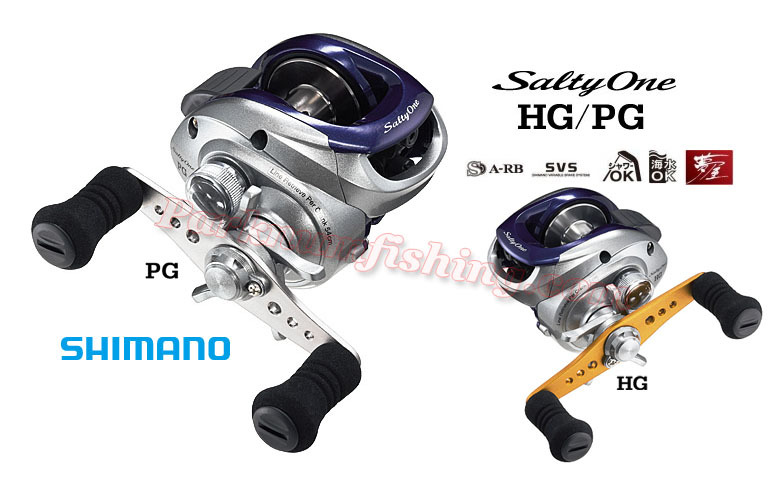 Magnesium alloy G Free Spool 3 spool removes weight from spool to maximize casting performance. 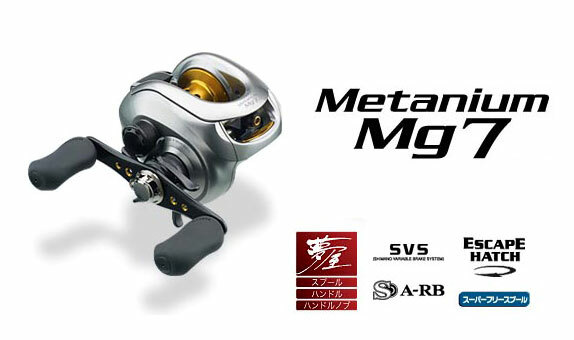 Mr. Hajime Murata is said to cast 99m 110yds 5/8oz casting plug with the new Antares. 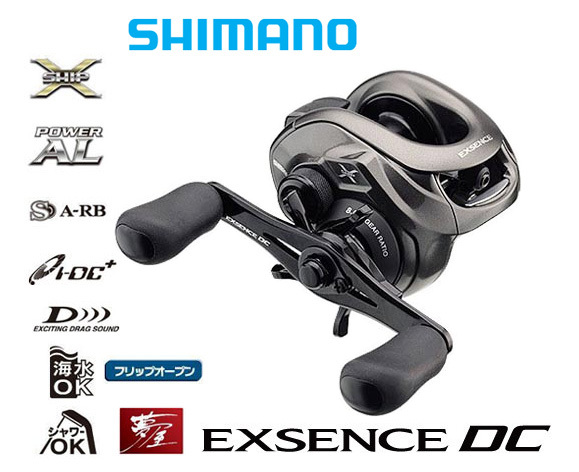 Freshwater only. 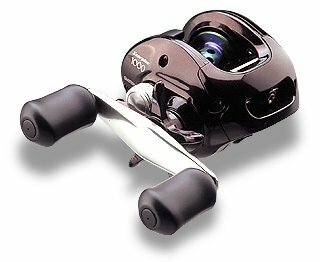 This four-bearing reel also features Super Stopper with Assist Stopper anti-reverse and the Easy Mag magnetic cast control system. 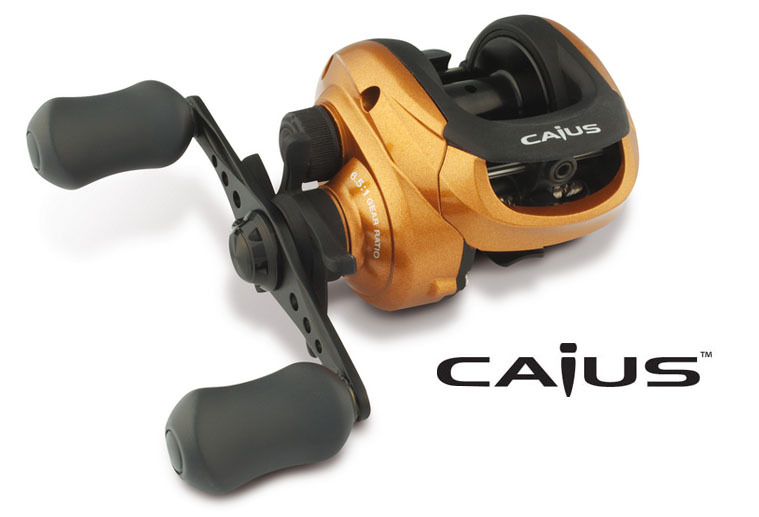 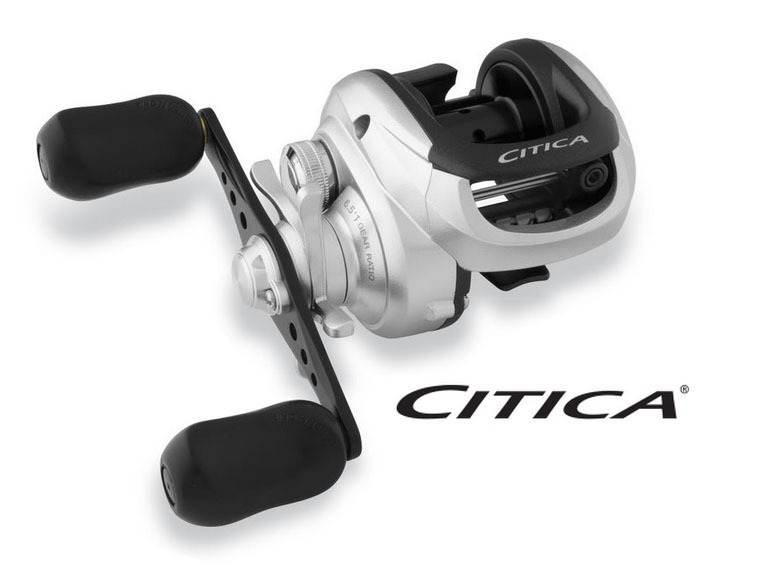 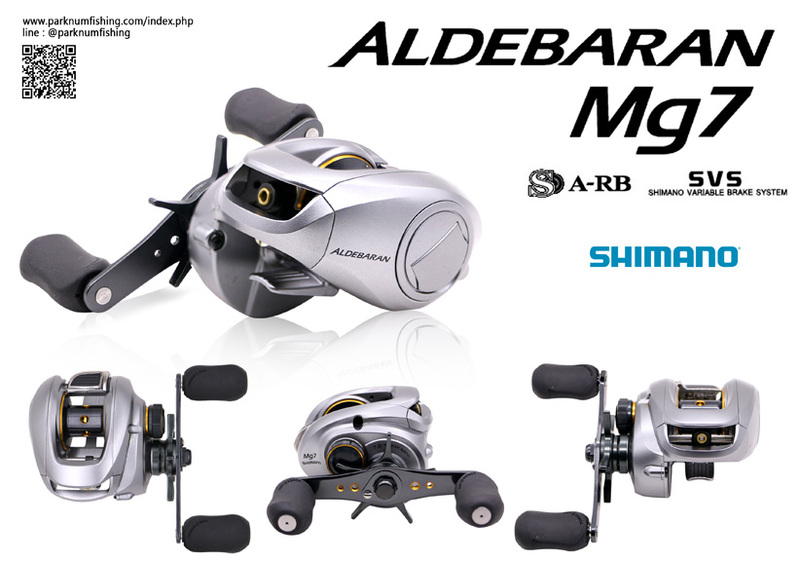 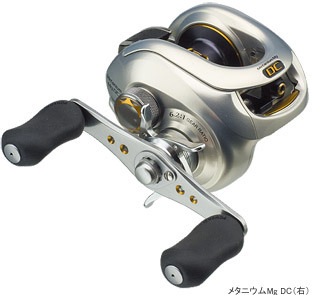 This four-bearing reel has been redesigned for 2008 with a Lo-Mass spool and VBS cast control for improved casting performance. 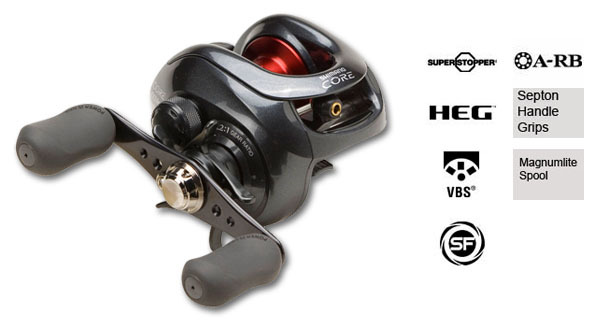 It also features Super Stopper with Assist Stopper Anti-Reverse. 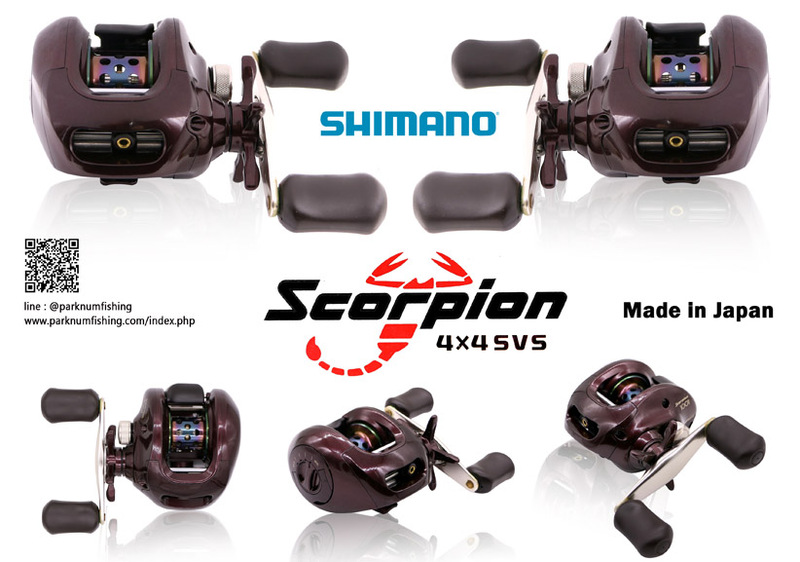 Newly developed 4x4SVS which makes one-touch control of brake power possible by dial operation is carried. 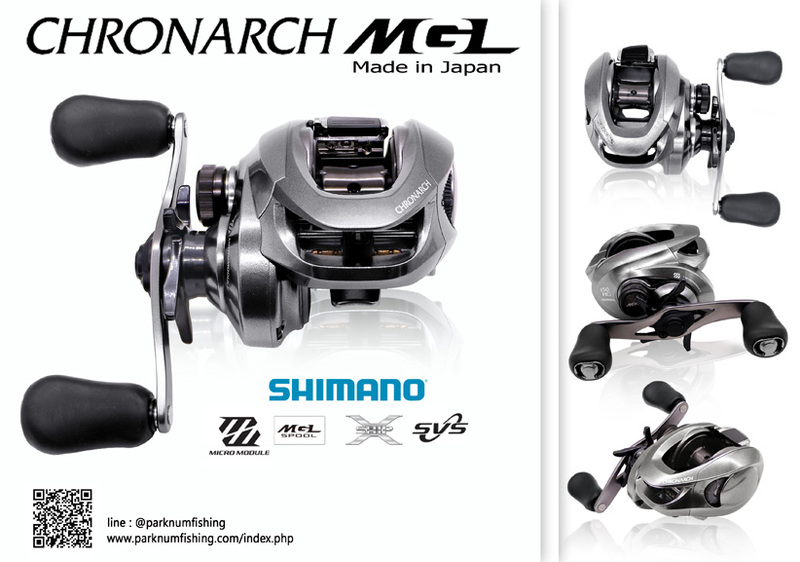 It is the appearance of the compact model corresponding to lightweight lure. 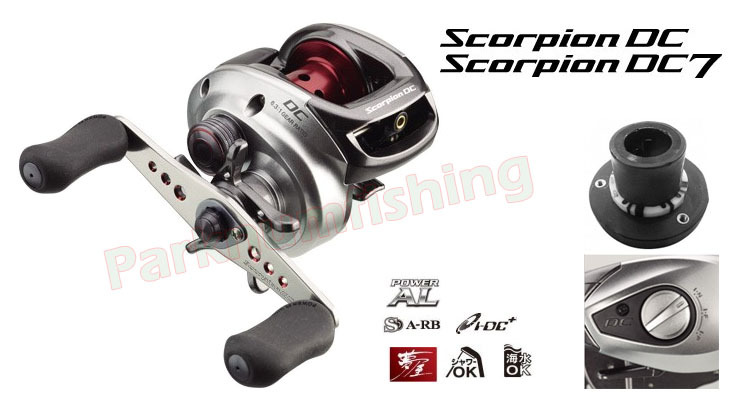 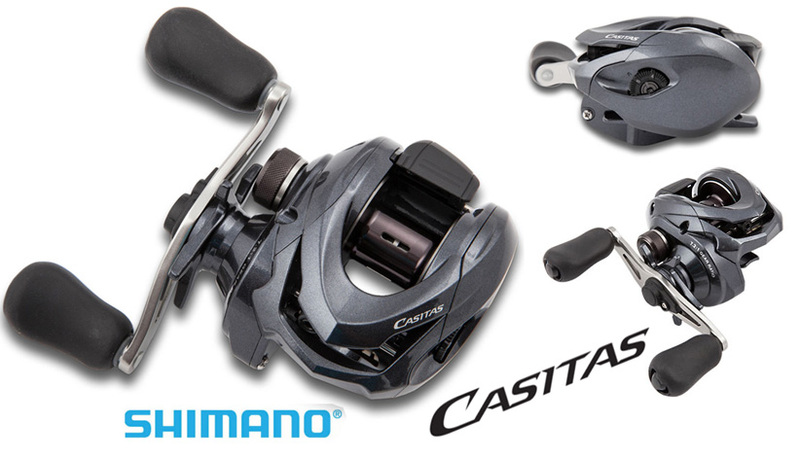 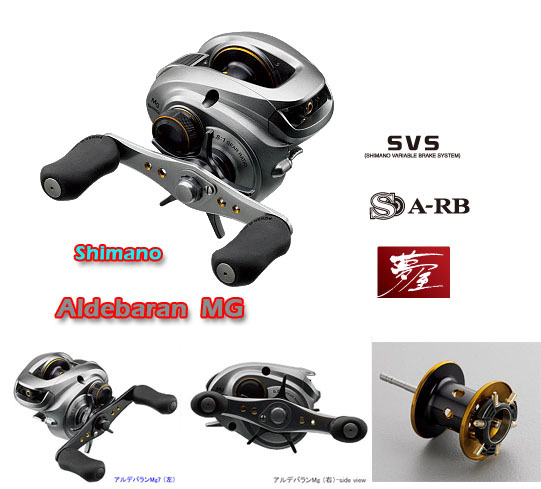 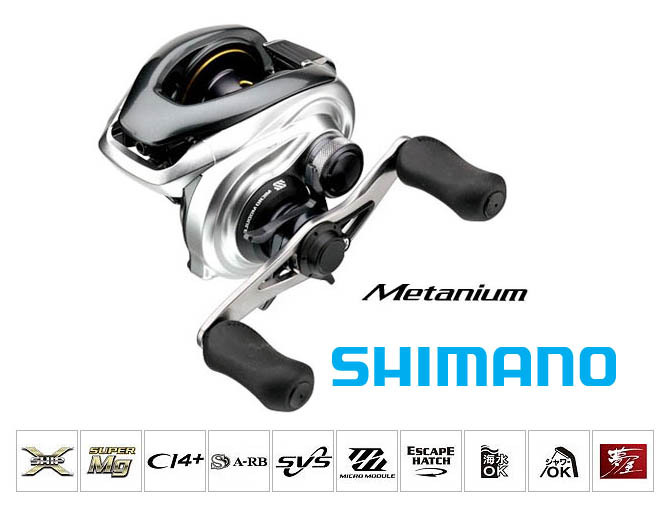 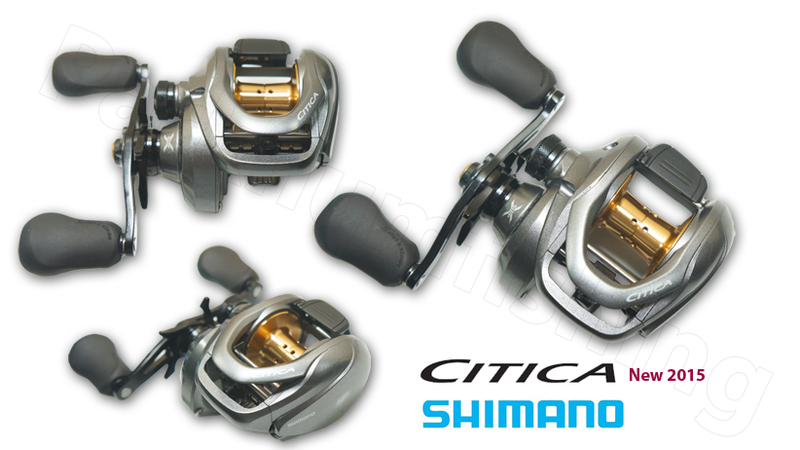 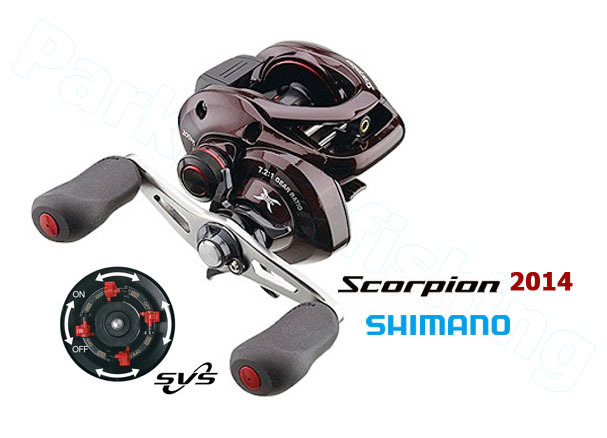 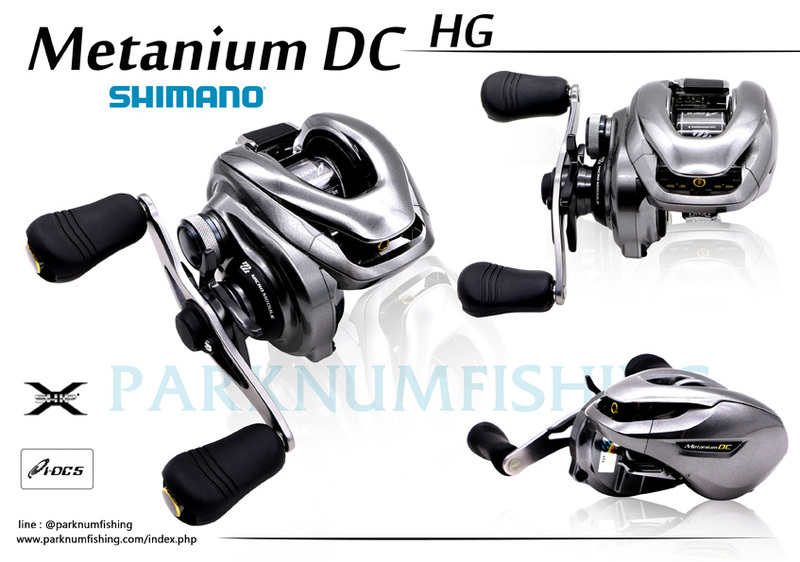 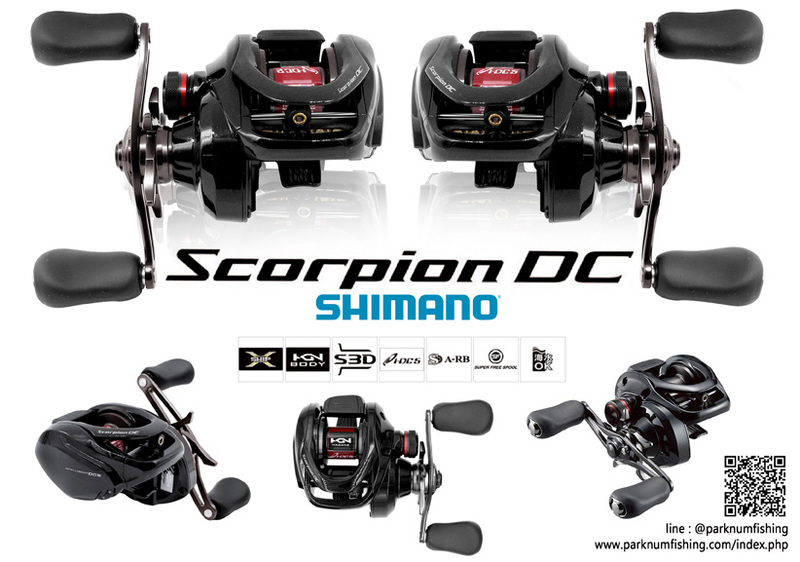 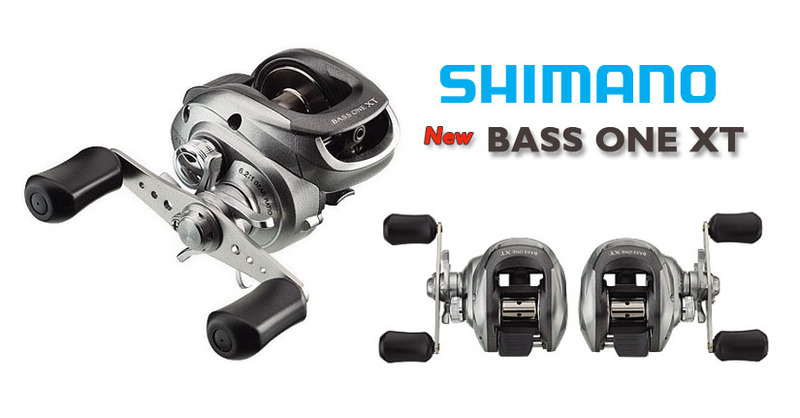 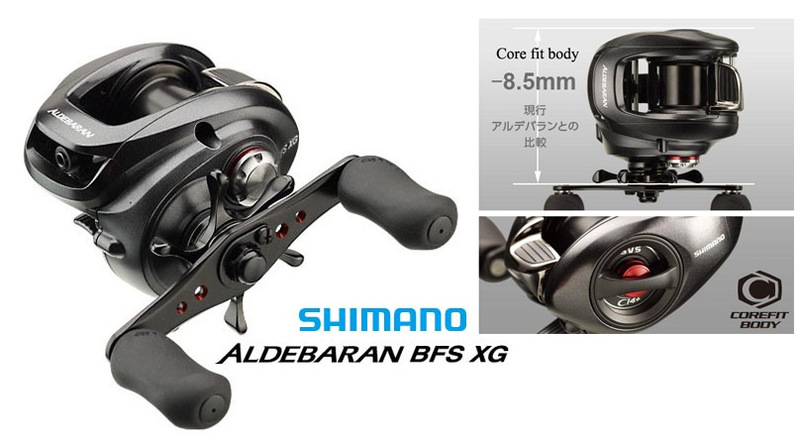 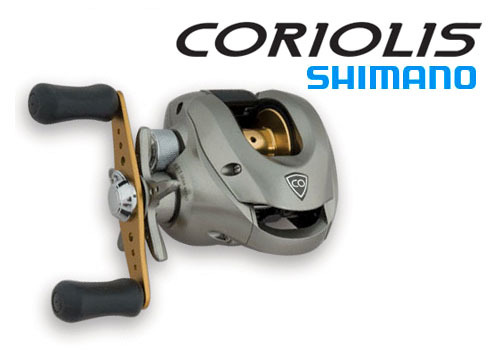 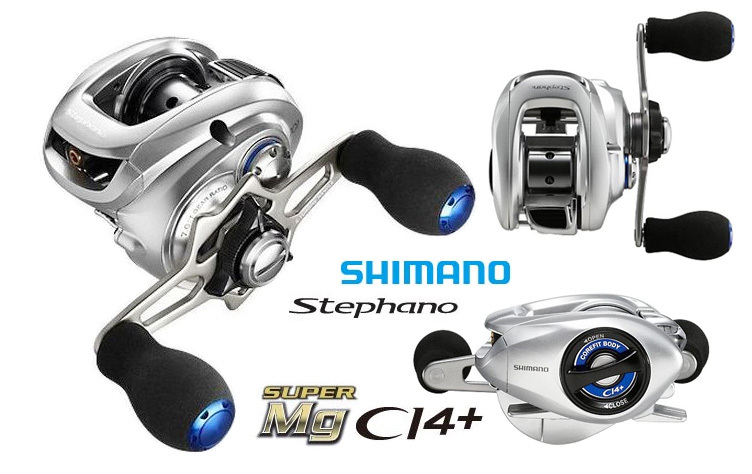 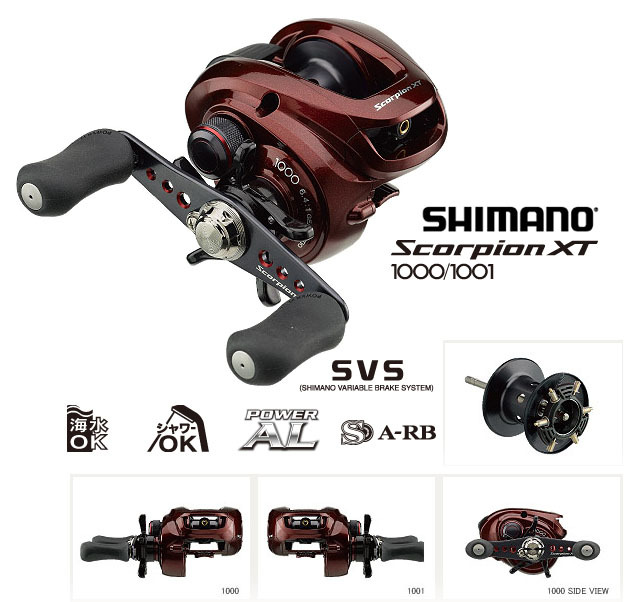 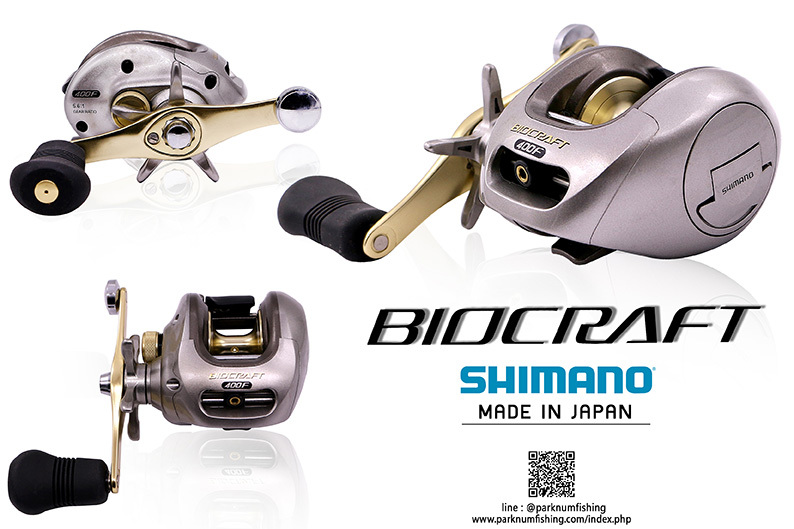 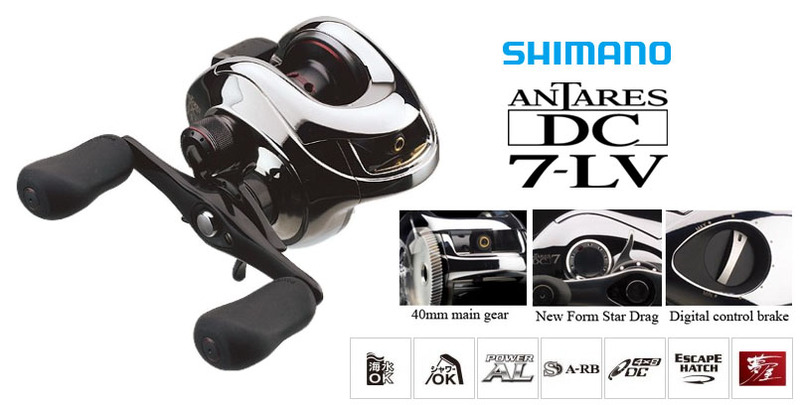 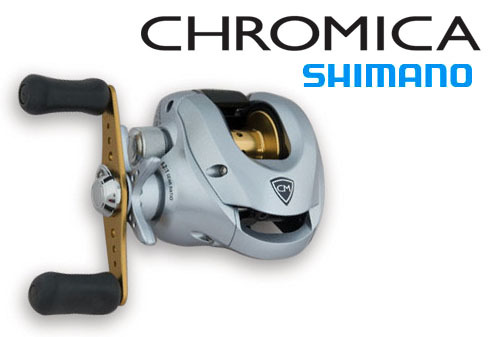 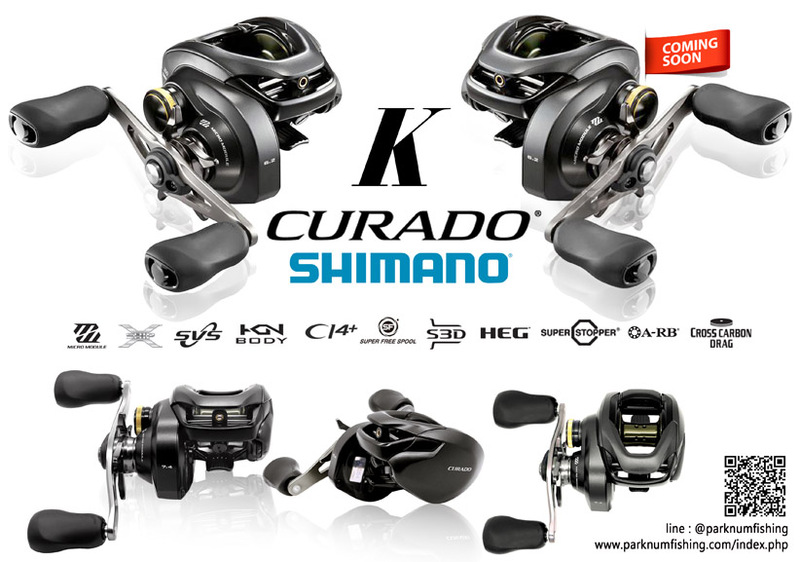 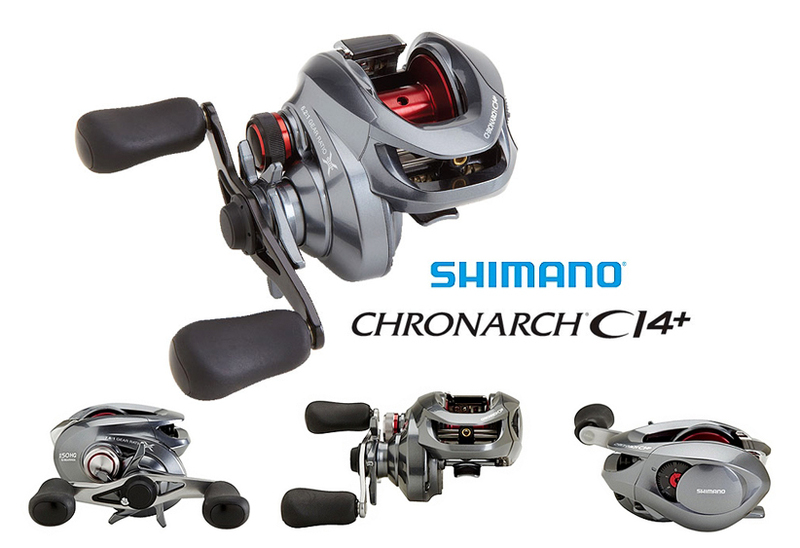 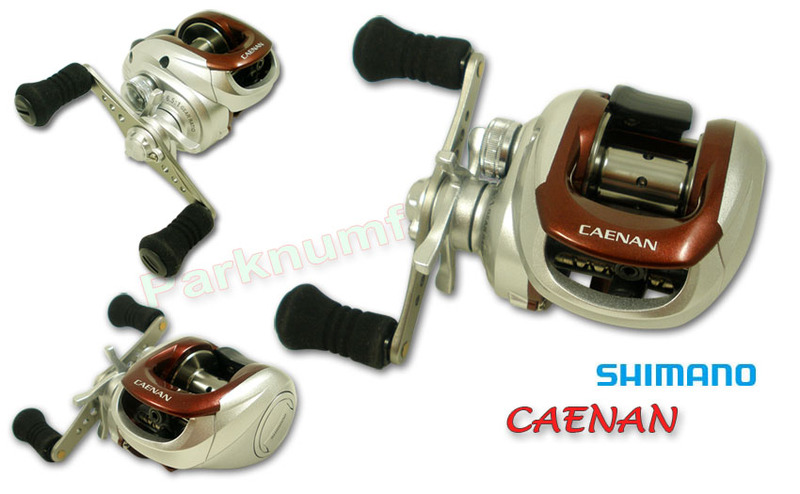 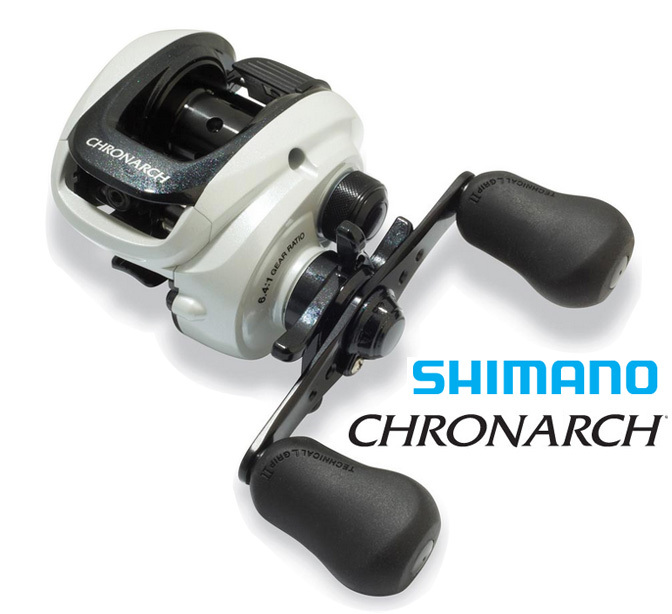 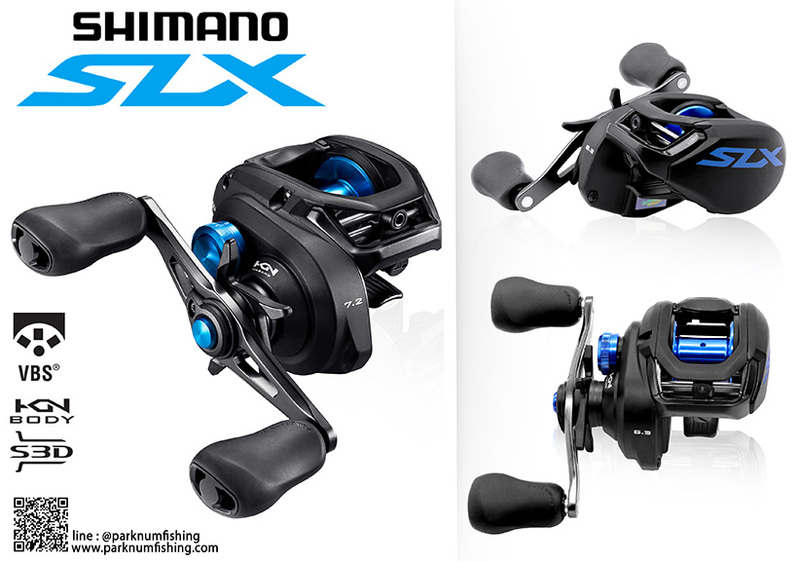 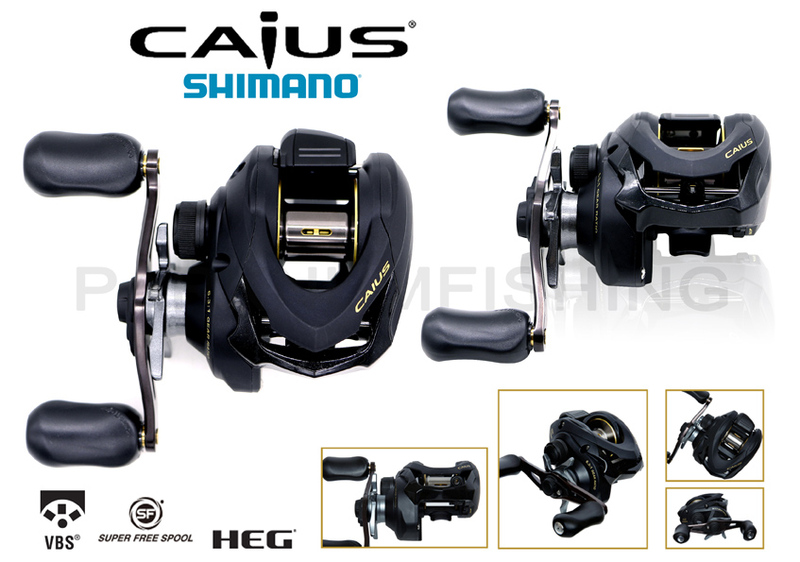 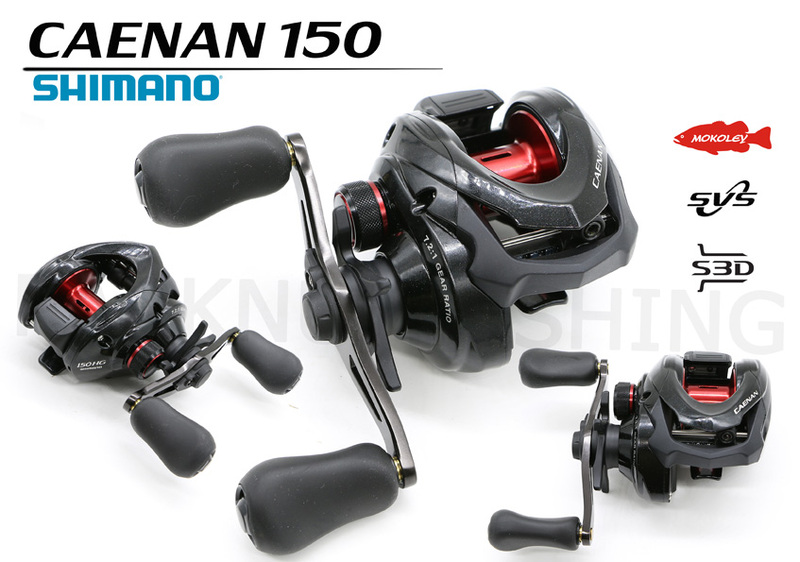 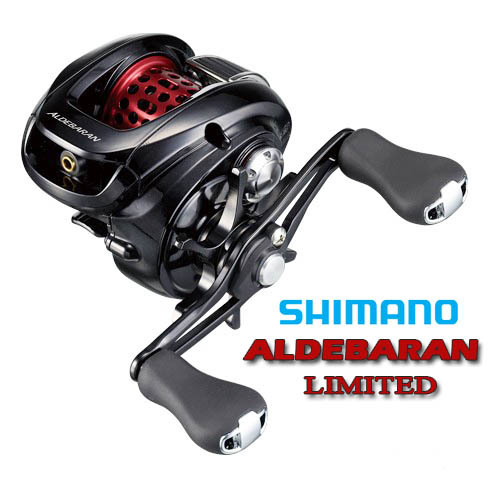 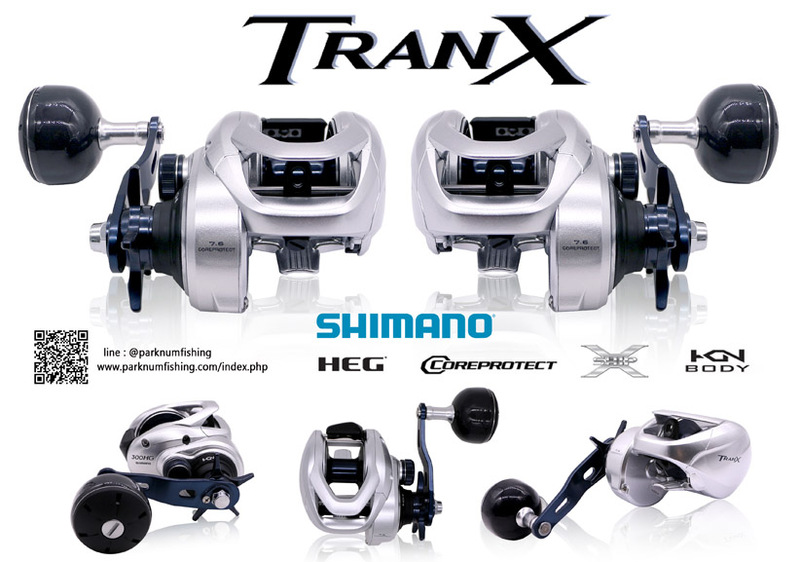 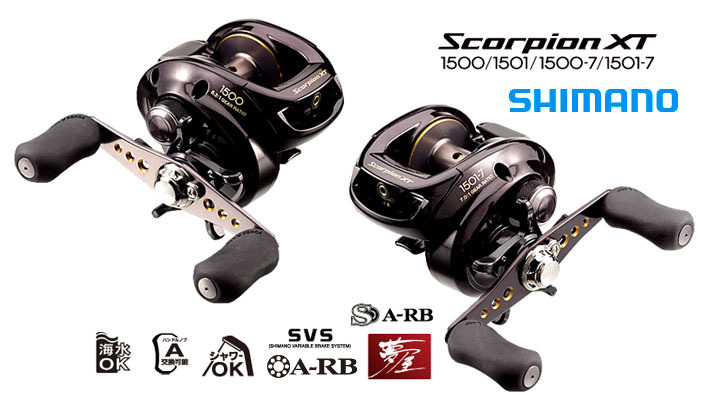 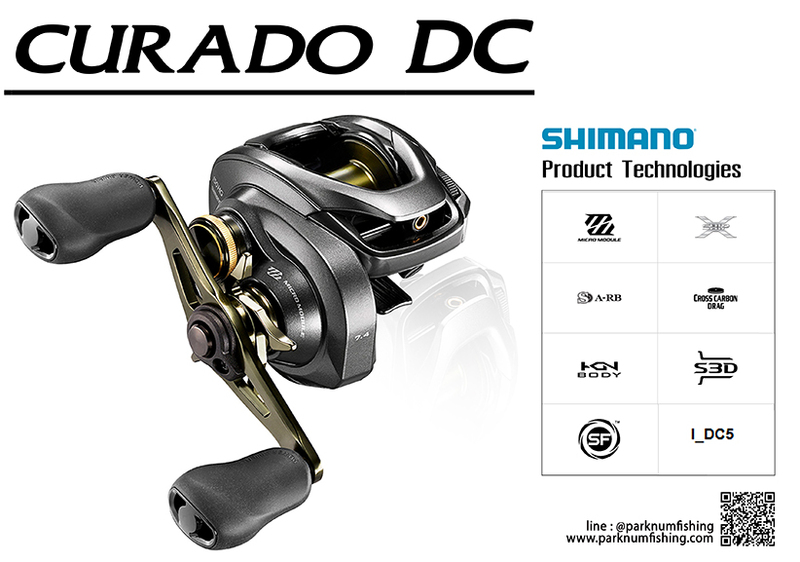 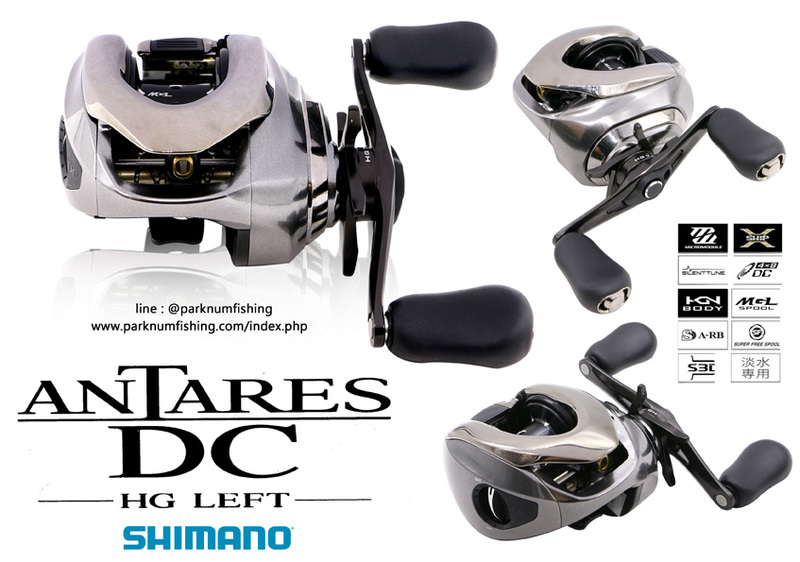 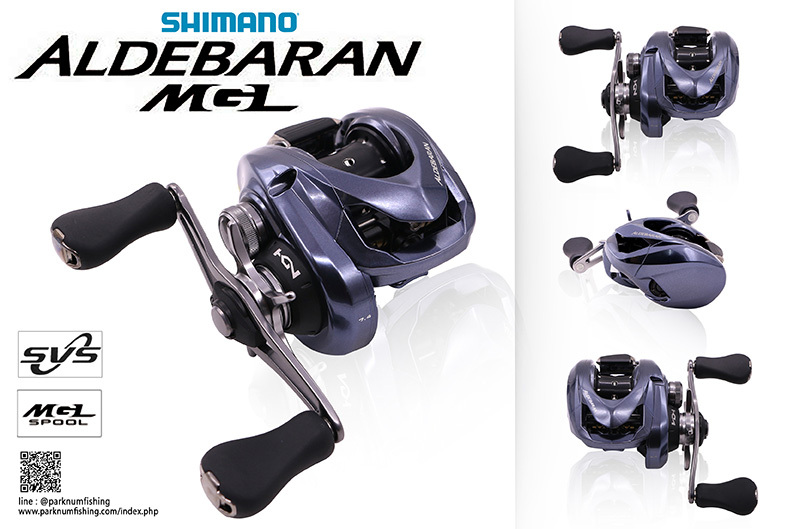 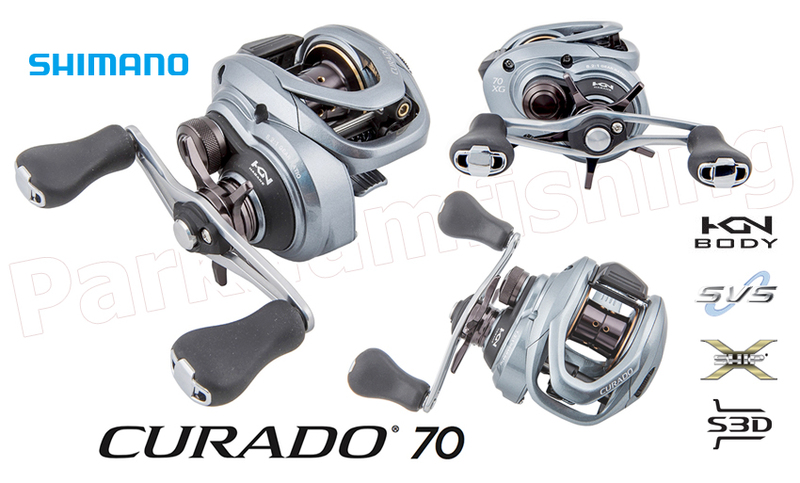 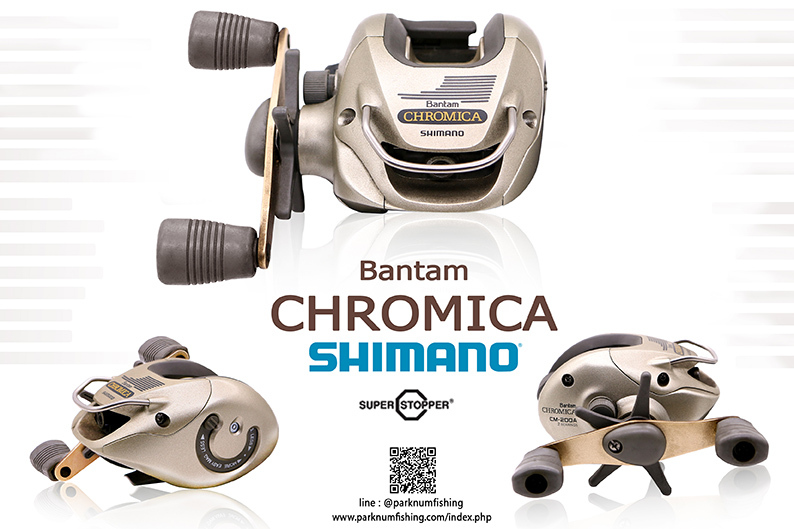 Shimano high-end bait caster, Antares is renovated in 2012 to outperform the previous legendary Shimano Scorpion Antares.